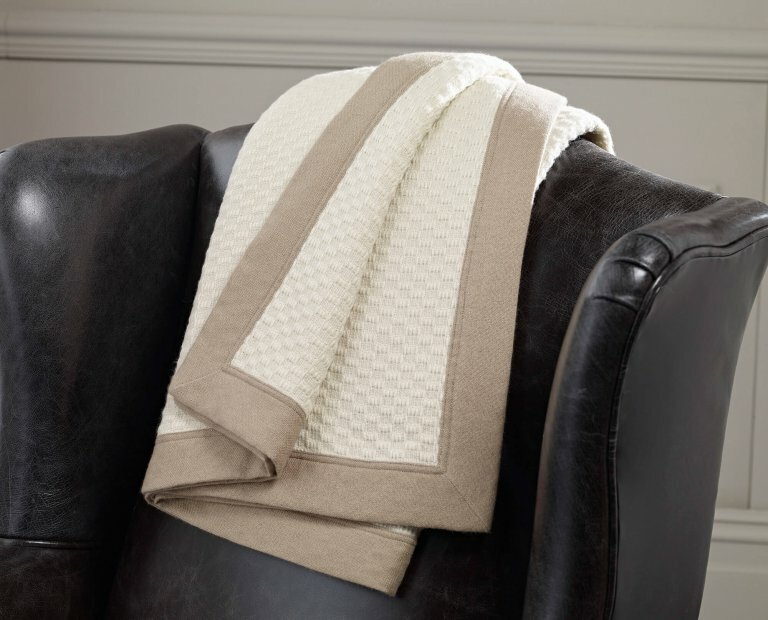 Classic Herringbone throw in a two colour combination of Seal & Silver Cloud. 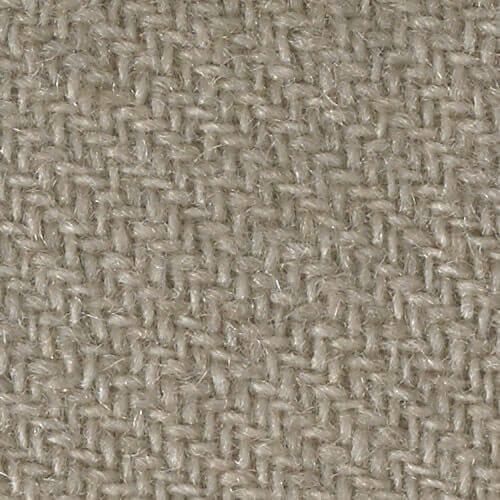 The rich Seal coloured cashmere border frames the piece with a Scandinavian twist. 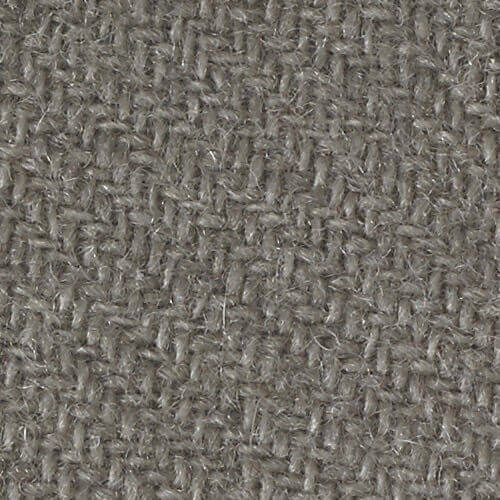 A beautiful throw in silver cloud that embraces simplicity. 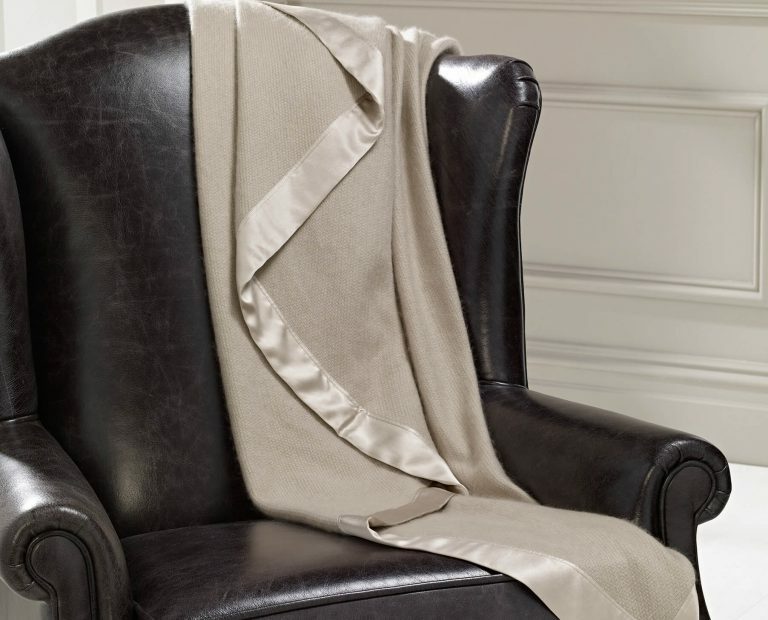 Hand finished in supremely soft silk, offers a timeless piece to treasure. 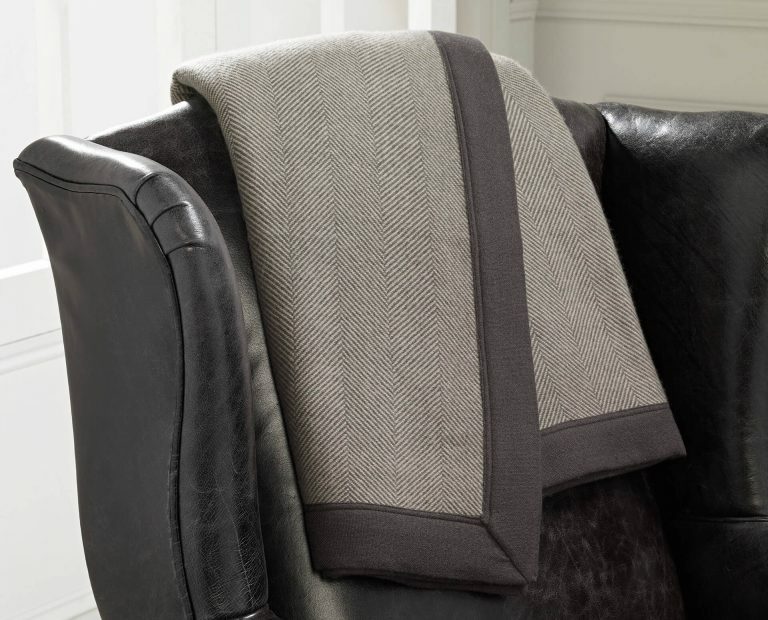 This tempting twill throw is a two colour combination of Seal and Smoked Pearl adds a less formal look to relaxed interiors. 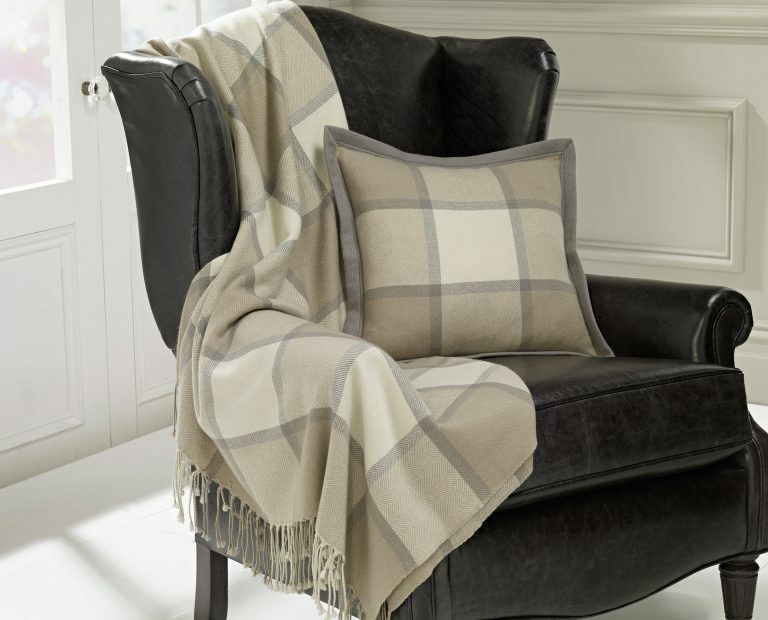 A classic check with a tassel finish for a relaxed country feel. 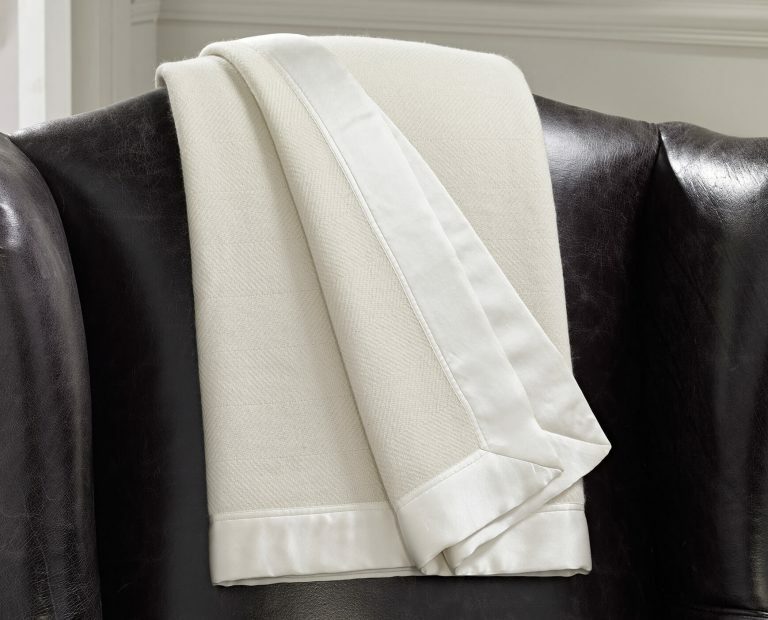 A classic blanket style Herringbone throw in soft Base White. Finished in pure silk, a perfect piece to snuggle under any time of year. 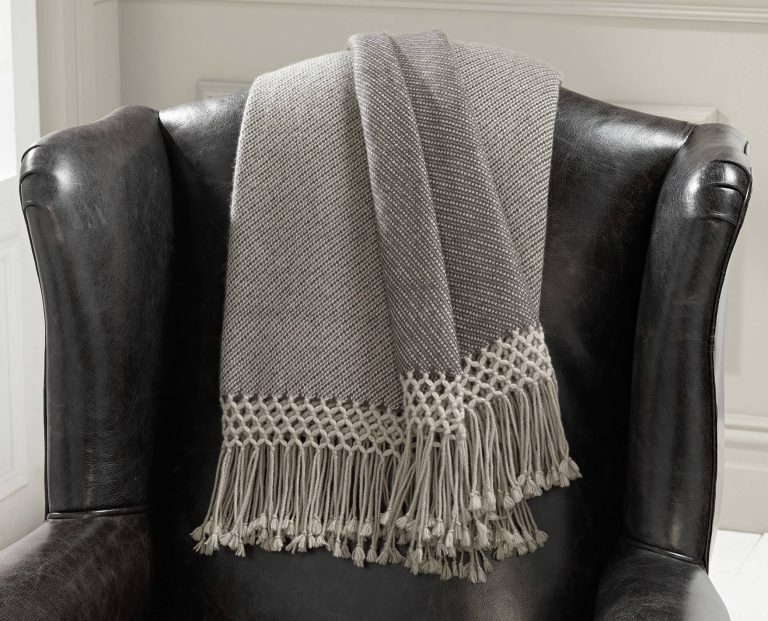 Understated yet alluring, this textured throw finished with a smoked pearl hand woven pure cashmere border wont go unnoticed. 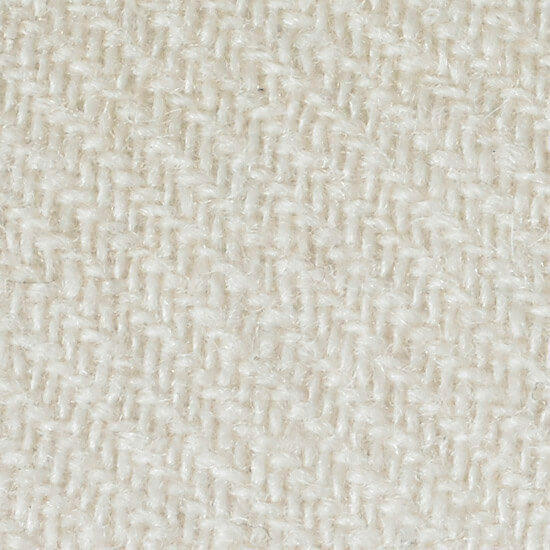 Relaxed chunky weaves and tassel finishes in a selection of whites, warm greys and mid tone naturals create a classic look. Seasons and trends come and go, these natural shades are forever. Contemporary and cosy, this collection of throws will add an irresistible centre pieces to the very heart of your interiors. 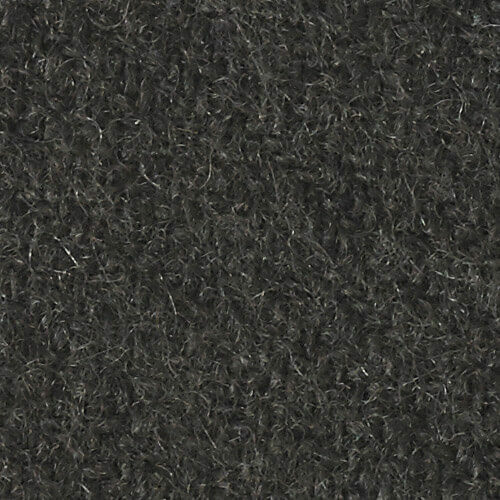 All pieces are available in custom sizes to perfectly fit your requirements. All items are custom-made to order, custom sizing available.